What time is it? B-BODY TIME. One of two square B-bodies I saw on the way home, both Caprice sedans. 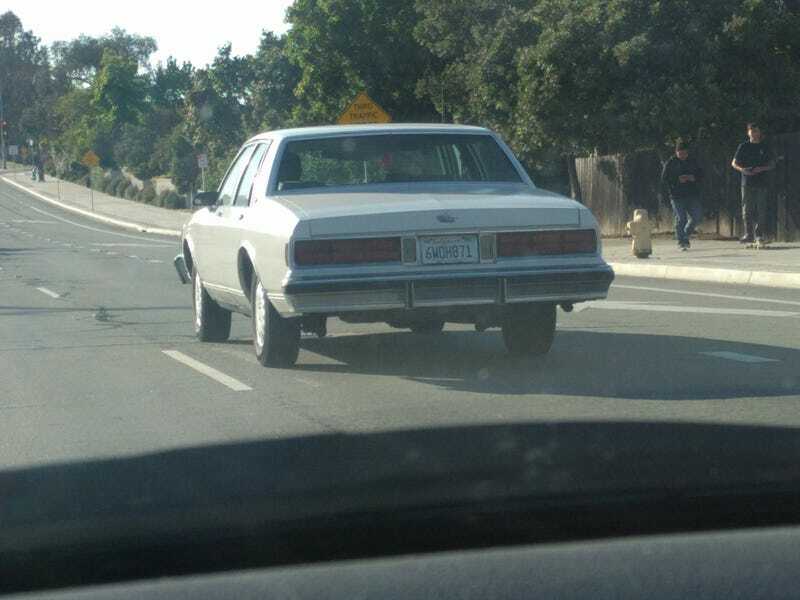 This was the nicer of the two, the other looked on the way to becoming a half-assed lowrider. Float on, you fat bastards.